Up to half of medical literature may be false! But which half? Dr. Richard Horton, editor-in-chief of the Lancet Medical Journal, recently published a statement declaring that a shocking amount of published research, at best, is unreliable, if not completely false, as in fraudulent. Dr. Horton published his comments in the April 11, 2015 edition of The Lancet in an article entitled What is medicine’s 5-sigma?. CLICK HERE to read the entire article. This is scary. The point is that up to half of all medical literature is false. This means that we cannot rely that the drugs we take have been properly studied and reported. Studies are tainted, manipulated, misinterpreted, reshaped, and otherwise falsified. The suggestion is that up to half of published medical scientific literature may be untrue in some way. Those of us who have thought that the science of pharmaceutical medicine was possibly tainted, now have good vindication for our concern. As an aside, how do doctors and parents have confidence that the 63 vaccinations given to our children are in fact safe, in light of this reality? How do we know which drugs we can trust? “In their quest for telling a compelling story, scientists too often sculpt data to fit their preferred theory of the world. Or they retrofit hypotheses to fit their data. Journal editors deserve their fair share of criticism too. We aid and abet the worst behaviors. Our acquiescence to the impact factor fuels an unhealthy competition to win a place in a select few journals. Our love of “significance” pollutes the literature with many a statistical fairy-tale. We reject important confirmations. Journals are not the only miscreants. Universities are in a perpetual struggle for money and talent, endpoints that foster reductive metrics, such as high-impact publication. National assessment procedures, such as the Research Excellence Framework, incentivise bad practices. And individual scientists, including their most senior leaders, do little to alter a research culture that occasionally veers close to misconduct.” The Lancet, April 11, 2015. Dr. Horton is not the first to raise this concern. 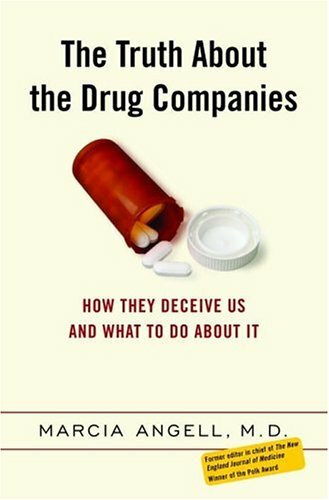 Over 10 years ago Dr. Marcia Angell raised these concerns in 2004 in her book The Truth About Drug Companies: How They Deceive Us and What to Do About It. Dr. Angell is Senior Lecturer in the Department of Global Health and Social Medicine at Harvard Medical School. She joined the editorial staff of the New England Journal of Medicine in 1979 and stepped down as the Editor-in-Chief in 2000. She is intimately familiar with medical literature and studies. The cause of this problem is the money that flows from the pharmaceutical industry to the universities, researchers, medical journals and doctors is driven by the profit motive. The money taints the whole process. This is the conclusion of two long-term editors of some of the world’s most prestigious medical journals. We can see the problems. But I do not expect things to change. This is the current state of medical research. The solution is to become informed and take charge of your health. Simple to say, challenging to apply. But it is your body and your health and you are responsible for making choices. It is within your power to learn how to make better choices in every area of your life. Better choices lead to better outcomes. It is your process of discovery to determine your path forward. Determine to learn more about the drugs you take. Evaluate your alternatives. Make a plan and follow it. Reevaluate your plan and adjust as needed. This is how you move forward with learning and experience.